If you are planning a visit to one of the many UK Rock Music Festivals in 2015, don't forget to pack a pair of wellies! Glastonbury Music Festival, T in the Park Music Festival, Isle of Wight Music Festival, Reading Music Festival.... if you braved any music festival in the last few years you will remember the images of thick, cold, slippery mud which dominated many of the sites. You don't have to spend a fortune to feel smug and look cool, with warm dry feet for the whole festival. No more picking your way through the mud, with ruined trainers and mud stained jeans. Even a dry forecast can be misleading – just a heavy morning dew or a light summer shower, can soon turn to mudpies, so be prepared! We have carefully selected our range of coloured festival wellies with fashion and your pocket in mind! 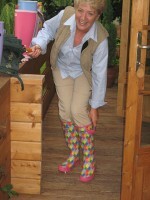 Our coloured range of wellies and wellington boots are cheap and funky but low price doesn't mean low quality! Each boot is guaranteed against manufacturing faults for 12 months – more than enough for a busy festival season. Don't leave it to the last minute. After the past couple of Summers wellies will be selling fast, and supplies can very quickly sell-out. Don't wait until you get to the festival. Sadly at all major outdoor events, there will be opportunist traders, ready to take advantage of desperate festival goers. Buy before you go! Handy hint. Empty wellies make great ‘bits, bobs and bottle' holders in a cramped tent! neoprene lined wellies to keep you warm and dry on chilly mornings and after the sun does down – and if you don't fancy full length boots, we have calf, ankle length , shoes and even clogs – all wonderfully waterproof! 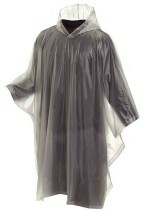 Check out our rain ponchos – pocket sized all over covers!! Guilfest - Guildford Bourough Council announced that there will be no festival at Stoke Park this year and will look at events for 2016. Due to the Commercial Environment some of the festivals we normally see have been cancelled or postponed for 2013. We hope to see these back in 2014. The Big Chill Festival - not held in 2012. TBC in 2013.